The Head of the Ministry of Foreign Affairs of Ukraine Pavlo Klimkin, during a meeting with the delegation of the OSCE Parliamentary Assembly headed by George Tsereteli, thanked him for supporting the territorial integrity of Ukraine "in the context of the continuing armed aggression of the Russian Federation in the Donbas and the illegal occupation of the Crimea and Sevastopol," according to the reports by the press service of the Foreign Ministry. 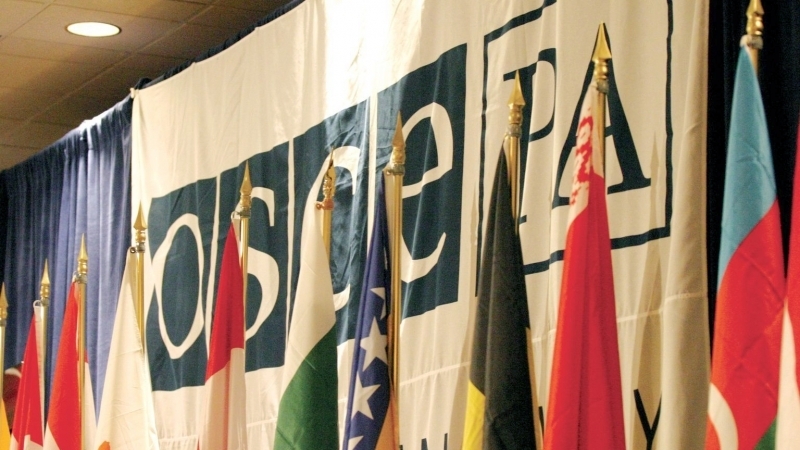 “George Tsereteli confirmed the support of the OSCE PA to the territorial integrity of Ukraine in internationally recognized borders and assured in the future about the assistance and support of the initiatives of the Ukrainian side within the framework of the Assembly,” the message says. Klimkin called on the OSCE PA to continue pressure on Russia to force the Kremlin to abandon aggression against Ukraine. “The Minister stressed that the restoration of peace on Ukrainian soil depends on the willingness of the Russian side to stop the aggression against Ukraine. He called on the OSCE PA to use the available means and tools to force the Kremlin to comply with the principles of the Helsinki Final Act and to abandon the aggressive and predatory policy towards Ukraine,” the press service of the Foreign Ministry reported. Tsereteli, in turn, stressed the importance of deploying the OSCE Special Monitoring Mission in Ukraine. The day before, the Verkhovna Rada vice-speaker Irina Gerashchenko called on the parliament to approve the appeal to the OSCE in connection with the illegal holding of presidential elections in the occupied Crimea. Gerashchenko stressed that the observers of the Office for Democratic Institutions and Human Rights (ODIHR) of the OSCE for the second time did not indicate in their report the holding of illegal presidential elections in the occupied Crimea.